Tunde grimaced as the cashier handed him back the debit card. “I am sorry Sir, but your card has been declined for insufficient funds”. Since he got married to Temi, this had become a problem. Temi was not as responsible with money as he would have liked and could be quite frivolous and impulsive about spending. Whatever money was deposited in the joint account through direct debits from their two salary accounts simply evaporated into thin air. Fortunately, Tunde always kept some cash on him so he was able to pay for the groceries. Tough economic times can strain not only a couple’s finances, but their relationship as well; where one partner is less “responsible” with money, their spouse may feel some resentment. 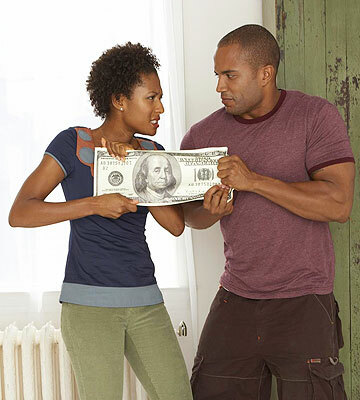 Financial concerns are one of the most common sources of tension in a relationship. Fortunately, planning and communication can help you avoid financial friction and frustrating conversations. Most people have already established their own financial personality and preferences even before they become part of a couple. 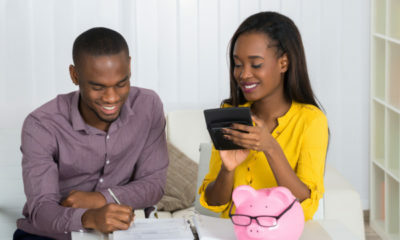 For new couples, it pays to start off on the right footing by establishing a fair and open method for dealing with finances; money matters should be discussed and opinions expressed early. Here are some thoughts regarding joint and separate accounts. Joint accounts are most common amongst married couples. There are also other instances where it may be prudent to operate a joint account. For example, an elderly parent may consider opening a joint account with their adult children in order to pay household bills or to avoid the probate court process in the event of their death. A parent may also opt to maintain a joint account with their child in order that they have access to funds should the need arise. In any partnership, there will be shared expenses which, regardless of who actually pays for them, the benefit is shared. These include food, utility bills, and the larger expenses that may be too large for one spouse to handle alone, such as rent or mortgage payments, school fees, and family vacations. It is important that there is complete clarity and communication regarding such expenses. If one person earns significantly more or less than the other, it would be fair to contribute amounts in proportion to the respective incomes to reflect this imbalance. Joint accounts work best where both parties have established a solid level of trust between them. Whilst this offers convenience and transparency, it does mean that each spouse becomes financially liable for the other, and of course either party can go to the bank and drain the account. Do separate accounts ensure that there are no fights over money? “Perhaps we would fight even more if our money was merged,” says one-half of a couple that prefers to remain anonymous. If one person spends money in a way that the other considers frivolous, or you find a joint account restrictive as it affords you less privacy and independence, it is probably best to have separate accounts. Being able to spend money without having your partner scrutinize the minutest detail is certainly important to some. Even though there may be no need to question each others personal expenses such as clothing, personal luxuries and hobbies, it is advisable that both parties should still be involved and consulted in relation to the significant financial decisions. There must be a conscious effort to keep the greater financial picture in mind as with separate finances one may lose sight of the family’s long term goals. Having a joint account for certain large and recurring expenses combined with individual accounts for personal expenses is a good compromise. Particular expenses may be assigned where one person will pay for certain bills whilst their partner pays for others. This is probably the most popular system where each partner takes some responsibility in maintaining the household budget yet each still retains some independence. As the global economic crunch continues to bite, families across the nation are affected, with many experiencing financial concerns for the first time in their relationship. Today, most households require two incomes in order to sustain their standard of living and lifestyle and to build a secure financial future for the family. There is no one size fits all; some couples have joint accounts whilst others prefer to keep their finances separate. Even the best system is not always appropriate all the time so plan to modify your system as your relationship and financial situation evolves. If one system doesn’t work, just try a different one. Regardless of which option you choose, it is important to discuss money matters. I absolutely concur! Joint annnnnd separate accounts, Joint accounts also put u in check of ur frivolous spending esp for ladies who can shop for Africa, and guys who can drink for Africa! Then helps in saving for emergencies and long term expenses. Joint and Separate account is better, that way there is peace. everyone shud have a little something to fund “me” times (very, very important) and then contribute an “equal” or “fair” share of a little something towards common goals. @ Ure, l agree with u o because sometimes l might need to give someone money without my hubby knowing abt it so joint and separate abeg!. Why would you want to give someone money without telling your husband. Not boyfriend o, for better for worse husband, not keeping anything from each other. He has as much right to your money, as you have to his. If the roles were reversed and he gave someone money without telling you (the someone doesn’t have to be female) how would you feel. I fully support joint account. My mum told me she contributed 40% of her income to the joint account, and my dad contributed 60% as he earned more. That joint account settled rent, school fees, food, clothing, holidays, parties and anything family related, including building our family house. The rest of their income in separate accounts was to do as you wish, but if it involved a huge expense, even though it was from personal money, they told each other about it. I remember the day an aunt from the village dared to tell my mum something about, she’s just chopping their brother’s money, she is not letting them feel free in their brother’s house, my dad overheard and told his sister that my mother’s money is also in this house, so this house is just as much hers as his own, so she should keep shut and never repeat that sentence again. The way they run their finances, heaven forbid, but my dad can’t wake up one day and say oya pack commot for my house, the day he tries it, he should be ready to cut the house in two, and everything in it. Lol……. His money is her money, her money is his money. I hear girls these days saying his money is our money, my money is my money. They should continue. It is women like them that husbands drive out of the house, with only the clothes on their back. I dont know why i found that closing line funny, but hahahahahahahhaaaaaaa @ only clothes on their back. It’ll take a while for many of us women to get it, but hopefully a majority will…. Marriage money, na couple money if u’ve both led a normal respectful and loving rship o, not if u rush into marrying drunkard + sanusi fafunwa shareholder cos age is n longer on ur side o- in dat case you will fig out wat suits u…. Your parents are very very wise abeg, and kudos to your dad standing up for your mother. That is exactly what i am doing with my husband, separate and joints accounts. A percentage of our earnings go into the joint account. The funny thing is i have the passwords to ALL the accounts including his but i never feel the need to check his spending. I manage all the money coming in and its because my husband trusts me. Only couples who trust and respect each other can do this. I always tell my husband when i have to give anyone money and he tell me when he has to do the same, it was not a set rule or anything, we just do it out of respect. If you know who you are with such things really shouldn’t be a big deal. I live in the UK and as for me my husband earns more than double my salary. However I am in charge of all our accounts although we have separate accounts. I have access to his accounts as we are both very open about how we spend. All our savings is in my account as we are looking to start a business or buy a second home. Fact is that we both respect each other and have something to bring to this marriage. 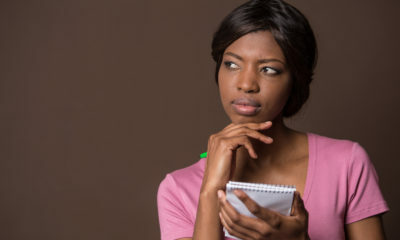 Why marry a man or woman you can’t trust with money. Lucky for him I’m not into Brazilian hair or designer bags lol, I’m a plain Jane. I love him for one thing sha he always asks when he wants to borrow friend money and if I agree or not my decision is final. I am not about to make my family broke for any friend. Also if I want to give my parents or his parents money its always addressed as coming from the both of us. I like to maintain a seperate account from where I can contribute to a joint account. The amount contributed should be in proportion to what we earn. I can contribute more if I earn more but still like to maintain my independence as I can’t vouch for my spouse. Separate accounts biko. I can’t shout. very practical advice… this can only work for people with COMMON SENSE and approach. I think joint and separate accounts sits better with me. I can’t stand Frivolous people i.e. no ambition in life yet they want to use/take and consume others, let alone frivolous spenders. I hate that attribute with a passion. Couples should pay attention to attributes and characters. People can always change and improve. However, its important we take CALCULATED RISKS, although they are rooms for other stuffs but think strategically and apply godly wisdom. It’ll be interesting to know people’s perspective and habits, as personally, I think I’ll be too shy to fart in front of someone am dating. Be specific, in marriage you cant hide stuff, so its not like bf/gf. No wife or husband will leave someone because they fart,simply say excuse me, and walk away if the smell is unbearable. You are definitely not married or are not in any meaningful relationship yet that is leading to marriage. I live abroad, By the time hubby and I married, I already had a bank account for well over a decade, plus have my own educational loans and all that. We have a joint account, but thats more so for general stuff. I’ll use my own money to get my hair done, or buy clothes I want. Trust is extremely important. Also what worked in your parents household, doesnt mean it will work in yours. My parents have a joint account, since my mother is extremely meticulous, she is the one that keeps track of everything, saves every receipt, my dad isnt that kind of person. On the other hand, if he had married the wrong woman, she would have wiped him dry. I mean growing up, even if we needed money, my mum would tell us to take the request to my dad, though she could equally access it. When we now go to him, and he’d approve, we’d now go back to her, and she would now go back to him to confirm. I used to say that “this woman too do o haba!” but now that I’m older and married, I get it! Joint account is a big YES.. When there is mutual understanding.